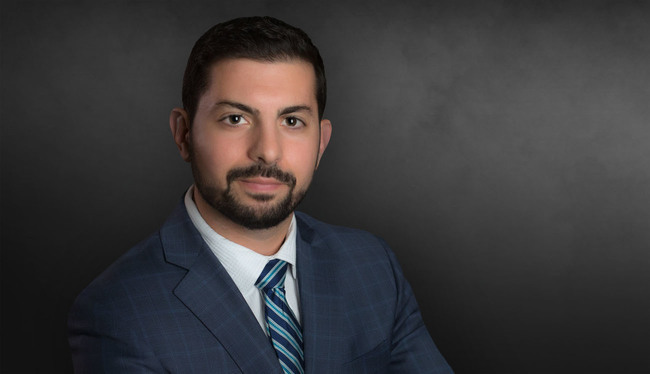 Alexander (Alec) Heydemann’s practice involves complex civil litigation including commercial litigation, insurance coverage, professional liability, products liability, and premises liability and nursing home and long-term care litigation. Alec has successfully litigated in state and federal courts across several states, whether brought in from the inception of litigation or the eve of trial. Alec joined WWHGD as a law clerk while a second-year law student at the University of Miami School of Law. Prior to law school, Alec obtained his pre-medical degree in Biological Sciences and Animal Science from Cornell University and spent time interning and shadowing physicians and surgeons at New York-Presbyterian/Weill Cornell Medical Center and New York’s Hospital for Special Surgery. While at University of Miami, Alec served as a member of University of Miami Law Review and worked in the Health Rights Clinic as a medical-legal partnership with University of Miami Miller School of Medicine. In the Health Rights Clinic Alec worked alongside medical students to obtain assistance and access to healthcare for low-income, health-impaired clients. He successfully represented clients before Administrative Law Judges within the Social Security Administration and Immigration Judges in Miami Immigration Court. Representing international firearms manufacturer and its national distributor in connection with multiple products liability claims. Representing drug discovery company in connection with an action for injunctive relief against an individual for misappropriation of trade secrets and violations of non-use and non-disclosure agreements. Assisted in the defense and resolution of a federal class action lawsuit against a national restaurant chain in connection with food-borne illness claims. Successfully prosecuted claims on behalf of multinational beverage corporation in connection with franchise disputes in Florida through commercial arbitration administered by the American Arbitration Association. Successfully petitioned to Florida’s Second District Court of Appeal for certiorari review of a non-final order denying our client’s motion to compel disassembling of a piece of a gas marine generator and that is a key piece of evidence in three personal injury actions arising out of a boat explosion. The Second District Court of Appeal unanimously granted the petition for writ of certiorari and quashed the trial court’s order denying the motion to compel. Westerbeke Corporation v. Michael Atheron et al. Case No. 2D16-5179 (Fla. 2d DCA Aug. 9, 2017). Assisted in the defense and favorable resolution of a catastrophic injury claim on behalf of an employee leasing company in a lawsuit brought by a severely injured minor-amputee involved in a motor vehicle accident. Assisted in the defense of a commercial office building and management company, through jury trial, against claims for defamation and malicious prosecution arising out of a bomb threat. Assisted in the defense of product liability claims against multinational retail corporation involving child booster seats in a catastrophic motor vehicle accident. Successfully obtained summary judgment on behalf of national surety company for over $25 million in an action for indemnification following complex construction litigation resulting in a 28-day non-jury trial in Jacksonville, Florida. Represented national surety company in complex insurance coverage dispute against various commercial liability insurers stemming from 28-day non-jury trial in connection with complex construction litigation. Assisted in obtaining favorable resolution of three separate lawsuits on behalf of a marine generator manufacturer in in Florida against charges that the product caused an explosion injuring several plaintiffs. Obtained a favorable settlement on behalf of a national freight broker in connection with a claim for complete loss to freight at a fraction of the original demand. Successfully defended a global water management, construction, and drilling company in connection with various personal injury claims throughout the State of Florida, including the voluntary dismissal of a claim in response to defendant’s motion for summary judgment. Dean’s Certificate of Achievement (Torts; Business Associations; and Trust and Estates Essentials). CALI Excellence for the Future Award (Insurance Law and Policy; and Health Rights Clinic, Medical Legal Partnership). Bilzin, Sumberg, Baena Price & Axelrod LLP Scholarship recipient. Dean’s Outstanding Merit Scholarship recipient (Top 2% of the class).